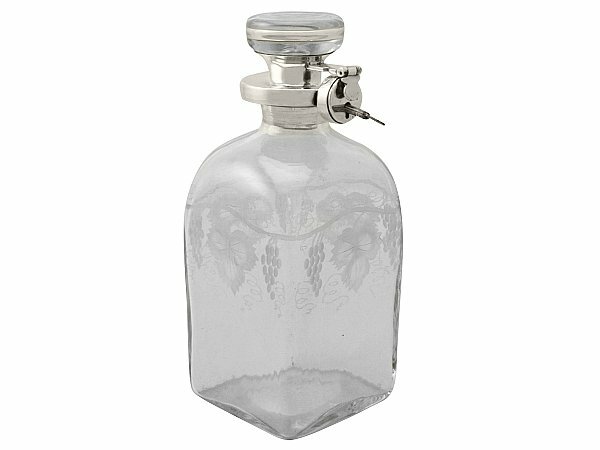 This exceptional antique George V glass and sterling silver mounted decanter has a rounded square, tapering form. 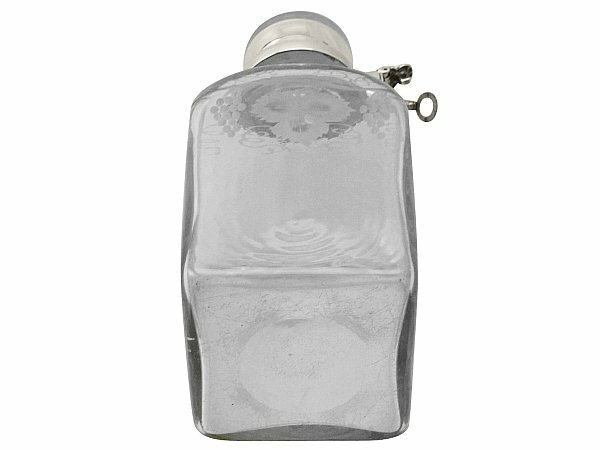 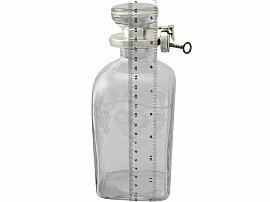 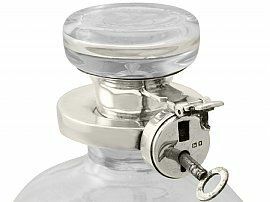 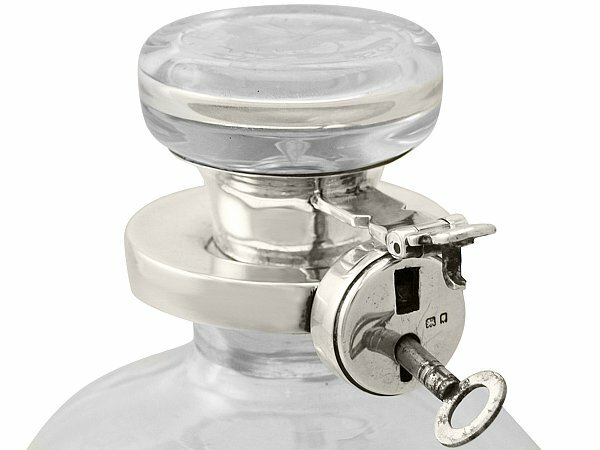 The impressive glass locking decanter has a plain hallmarked sterling silver collar incorporating a fully working locking mechanism, which retains the removable key. 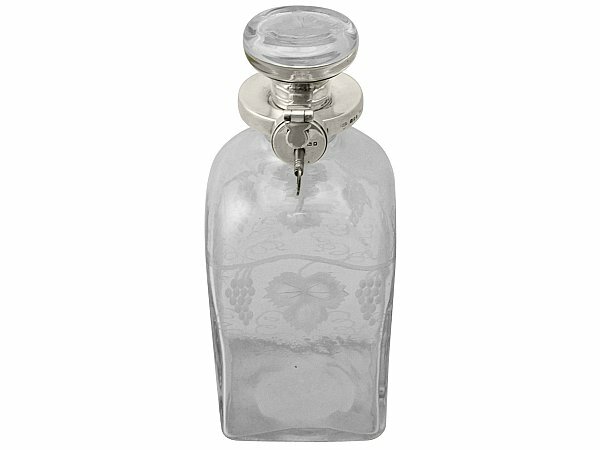 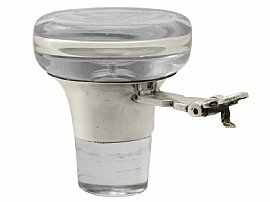 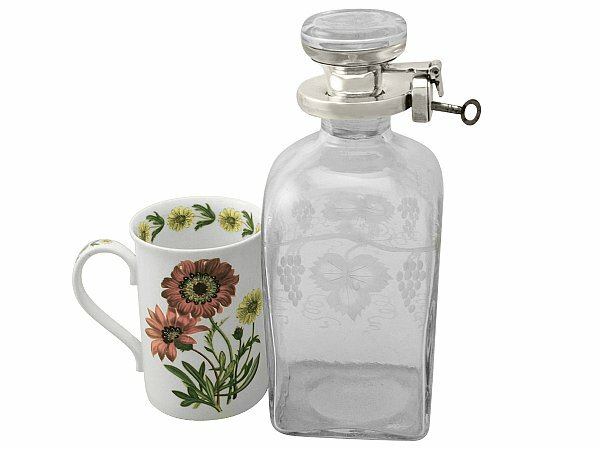 This antique decanter is fitted with the original rounded cut glass stopper mounted with a locking bar; once the key is turned the catch to the end of the bar is released and the stopper can be removed. 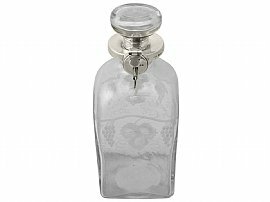 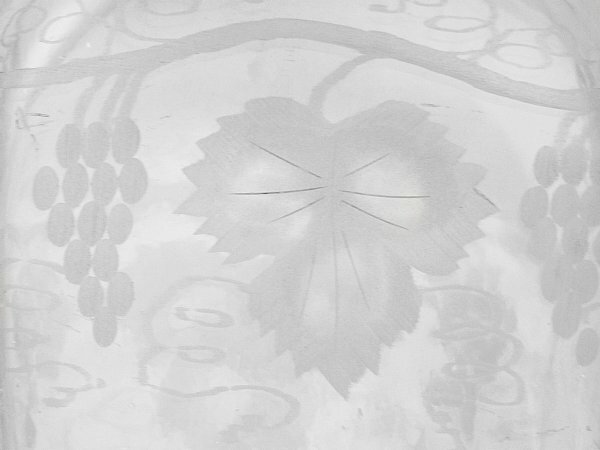 The original glass body and stopper of the decanter are embellished with impressive acid etched, simplified grape and vine decoration. This antique glass and silver decanter is a very good gauge of silver, fine quality and in excellent condition. 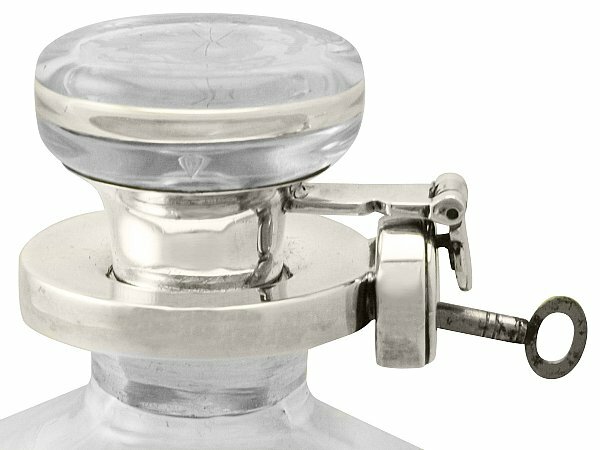 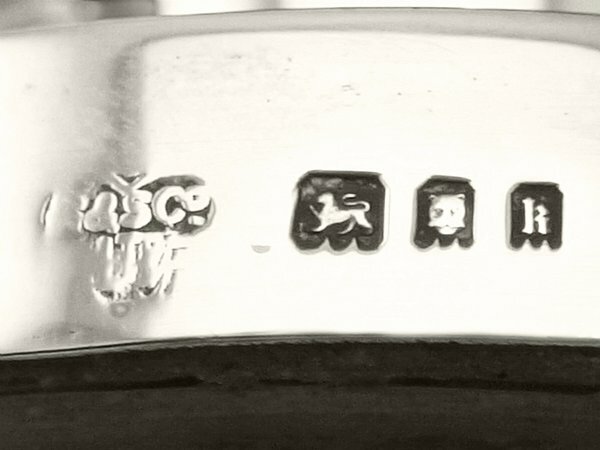 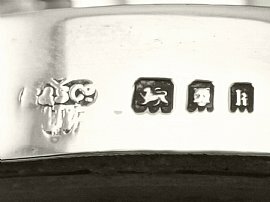 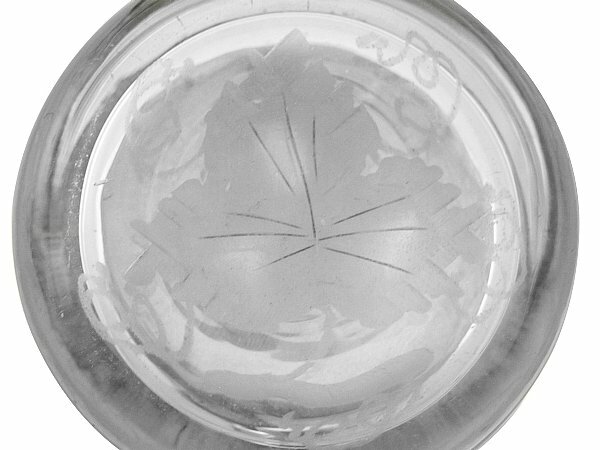 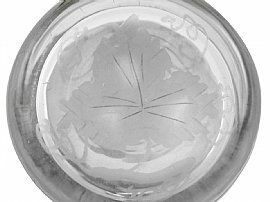 Full hallmarks struck to the surface of the mount and part hallmarks to the stopper and locking mechanism are all very clear; the maker's mark to the mount shows signs of wear in keeping with age and due to location. Height to top of stopper 21.8cm/21.8"